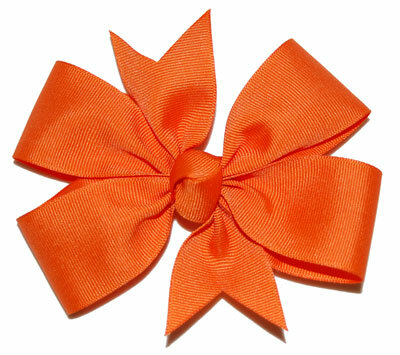 Large Girls Hair Bows are made with high quality 1.5 inch ribbon and are approximately 4 1/2 - 5 inches in size. You can choose between an Alligator Clip or a French Clip. Ribbon ends are treated to prevent fraying. Each large hair bow is made with a matching center knot (unless otherwise noted). You can select a specific type of large hair bow in the categories below or view the entire line of Large Hair Bows below the categories. �2006 - 2019 Cutie Pie Bows & Monogrammed Designs. All rights reserved.